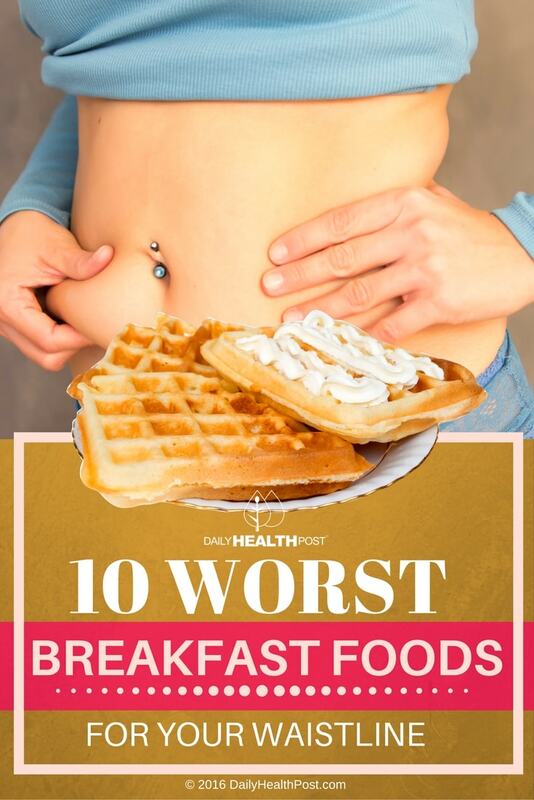 Eating a bad breakfast is worse than not eating breakfast at all. This is because a poorly balanced meal gets your body on track for frequent cravings and lack of energy. In contrast, a well-balanced breakfast of fiber, lean protein and healthy fats gets your metabolism going and keeps your blood sugar balanced throughout the day to keep you focused and on track. Although the following breakfast have been normalized in popular culture, they are nothing but a bad way to start your day. You may have noticed that cereal companies have begun to aggressively market the nutritional benefits of their products with labels that read “high in fiber”, “good source of vitamin D” or “part of a nutritious breakfast” but these taglines couldn’t be further from the truth. Although the nutritional fact on the cereal box may list many vitamins and minerals, these are often artificially added to the product to make them more appealing to the consumer. 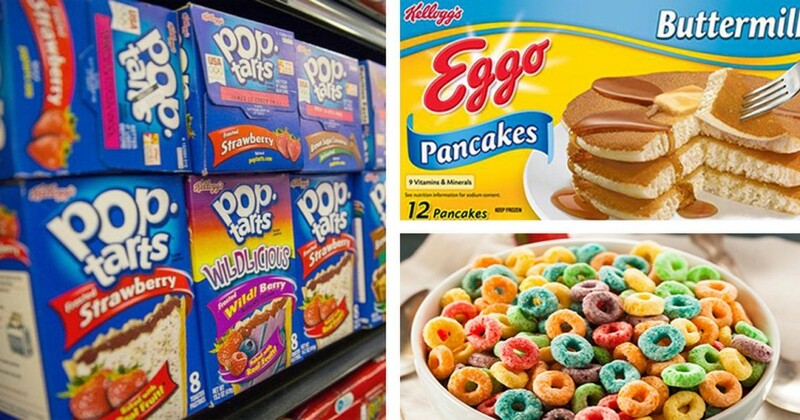 What’s more, most store-bought cereal, even “healthy” brands are incredibly high in sugar. In some cases, the portion size described on the label will be purposefully reduced (sometimes by even a half or a third) to mislead you into thinking that the product is healthier than it really is. In fact, the Environmental Working Group examined popular breakfast cereals aimed at children and found that a 1-cup serving often contained more sugar than 3 store-bought chocolate chip cookies (1). Replace with heart-healthy cooked oatmeal (not instant) topped with nuts, chia seeds and blueberries. These breakfast classics are often made with refined flour, which promotes insulin resistance, obesity and chronic inflammation (1,2). Most families also use pancake mix, which is full of preservative and flavor additives. Worse yet, these toxin-heavy meals are often topped with liver-damaging high-fructose corn syrup. Replace with a homemade batter of ancient grain-based flour like amaranth or quinoa and top with fresh fruit and little bit of maple syrup or honey. Whoever invented white bread certainly never predicted the health epidemic it would cause. This highly processed baked good lacks fiber, leaving you with high blood sugar and hunger pangs shortly after consumption. And if that’s not bad enough, many people choose to spread margarine on their toast before topping it off with nut butter, jam or baked beans. Although many margarine companies label their products as being trans fat free, they often still contain some trans fats. These fats are linked to chronic inflammation and poor cardiovascular health (3,4,5). Replace with a slice of organic whole grain toast and spread fresh avocado, turmeric and pepper on top. Eat it alongside a nice omelette or poached eggs. Nowadays, muffins aren’t much better than cake. Loaded with hydrogenated oils, refined flour and sugar, they’re a far cry form the health food they claim to be. On top of that, muffins are now being supersized by supermarket to fill the increasing appetite of hungry Americans. As it stands, most muffin sold around the country exceed the USDA standard portion size by 333%, meaning that they contain much more fat and sugar than the national health guidelines recommend (6). Replace with homemade muffins made fresh over weekend using unrefined flour. Get creative and incorporate pulp scraps from your juicer to make them more nutritious, use apple sauce instead of oil and sweeten with honey instead of sugar. Toaster pastries are infamous for containing white flour, processed sugar, high fructose corn syrup and soybean oil. Plus, they often contain artificial fruit jam inside and alarmingly bright colored icing on top (7). Plus, studies show that eating a low-protein high-carb breakfast only leaves you feeling more hungry throughout the morning and makes you more likely to eat a big meal at lunch (8). Replace with a smoothie made with real fruit and superfoods: it’s an easy way to get your micro and macro nutrients first thing in the morning. Don’t forget to add soaked nuts and hemp powder for extra protein and brain-healthy fats!